Dogs are more than just beloved pets, they are members of our family. This is why it is so important to make sure that your dog is receiving the appropriate nutrition they need to live a long and healthy life. One great brand of dog food to potentially consider is NutriSource puppy food. There are many factors that you must consider when deciding which brand offers ultimately the best food for puppies. You have to carefully consider numerous aspects such as ingredients, recipe selection as well as the overall cost of the food. This article is going to explore those factors that NutriSource puppy food has to offer to its clients. NutriSource puppy food is manufactured and distributed by KLN Family Brands. They have been manufacturing pet food for over 39 years. The food undergoes several bouts of testing to ensure that each piece meets severe quality control standards before it is processed for shipment. One of the appealing aspects if NutriSource puppy food is the portion. The brand recommends a certain amount of food to feed your dog. This guideline is often substantially less than what you would use with an equivalent bargain brand product. In addition to their commitment to safety and quality, the overall product selection offered by NutriSource is quite impressive. However, we'll discuss the nutrients in greater detail further on. You can generally find this brand at almost any specialty pet stores all across the nation. Their Nutrisource Pet Foods official website has a great tool for locating suppliers near you. One of the areas where NutriSource puppy food stands out the most is its commitment to utilizing quality ingredients. When examining the different ingredient listings, you will always find a high-quality protein source at the top of the list. The reduction in low-quality grain filler is the reason why it takes substantially less food per feeding for your pet. In addition to great protein sources, brown rice is frequently used as a rich carbohydrate source. This type of nutrients gives your dog the energy they need throughout the day. The overall nutritional value of NutriSource puppy food is far superior to that of most other bargain varieties. This is due to the higher quality ingredients that are used in their formulations. Their recipes contain all of the essential vitamins and minerals that are recommended by AAFCO. However, NutriSource does a great job going above and beyond what the bare minimum recommendation is. For example, they include plenty of supplements that are designed to help your dog’s joints as well as improve the condition of their coat. For comparison purposes, below is a breakdown of some of the basic nutrient levels for the adult NutriSource formulation and Purina’s adult formulation. The numbers between the two show that NutriSource offers superior protein and fat content over Purina’s formulation. Purina does show a slight lead in the max fiber amount. One the other hand, this has something to do only with the larger amounts of low-quality filler like corn that is used in their diets. In terms of ingredients, NutriSource is definitely one of the better pet food choices around. One of the most important things to consider when picking the right dog food is the overall selection of available flavors and formulas. Fortunately, this is an area where NutriSource shines above a lot of the competition. NutriSource offers a wide selection of flavors that are perfect for even the pickiest dog palettes. Most of their formulas use chicken or lamb as the main protein ingredient and rice as the main carbohydrate source. However, they also offer more exotic choices like salmon, quail, and even delicious beef. In addition to their many available flavors, they also offer a wide range of formulas that are perfect for just about any life stage. Large Breed (Chicken or Lamb). Puppy (Large & Small Breed Formulas). Prairie Select (Grain Free Formulation). Additional supplements for improved pet health. Requires less food per feeding. Higher priced than many other options. Hard to find the dog food in chain stores. Overall, it is clear that NutriSource puppy food is an excellent choice for dog owners. 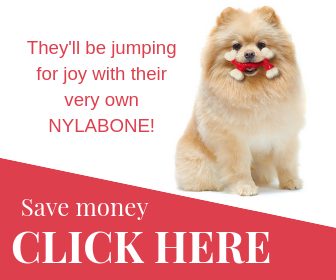 They offer a wide range of formulations and use ingredients that are far superior to that of most other bargain dog foods. Their use of exotic ingredients like salmon and quail can make dog owners forget that they are looking at food for their pets instead of themselves. Unfortunately, these types of ingredients do come at a substantial cost increase compared to cheaper alternatives. However, NutriSource puppy food is still well worth the price for those who can afford to give their dogs the absolute best. Feel free to try NutriSource out for yourself and tell us what you thought about it in the comments below.